Exports Under GST: How to Use Bond or LUT? The motive of any developing economy’s government is to expand its export base. The rationale for the same is to maintain the balance of payments, create job opportunities and boost economic growth. By providing certain benefits and reliefs on exports, the government promotes the trade. The exporters can avail these benefits and reliefs and thus undertake a free-flowing and beneficial trade. On the same note, the government provides certain benefits under the GST regime to exporters. There is no incidence of the tax (net effect) in a case where an exporter export goods/services from India. Here we give an insight into the details about when to opt for LUT and when to opt for Bond. Not only this but also how to claim the refund of IGST paid on exports in simple steps. LUT will be valid for a financial year. If LUT was furnished in FY 2017-18, then the date of expiry of the validity of such LUT is 31st March 2018. Therefore, You need to furnish fresh LUT for FY 2018-19. What happens if goods or services are not exported? 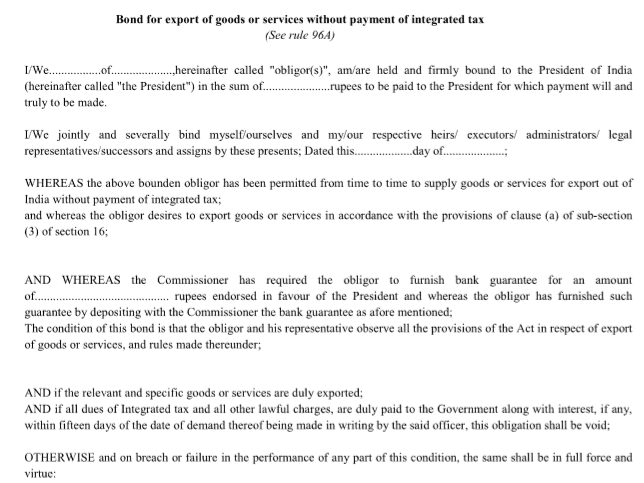 IGST paid on export of goods or services. The law specifies that shipping bill is to be considered as a refund claim on satisfying following two conditions. The applicant should have filed the returns GSTR-3 or GSTR-3B appropriately. 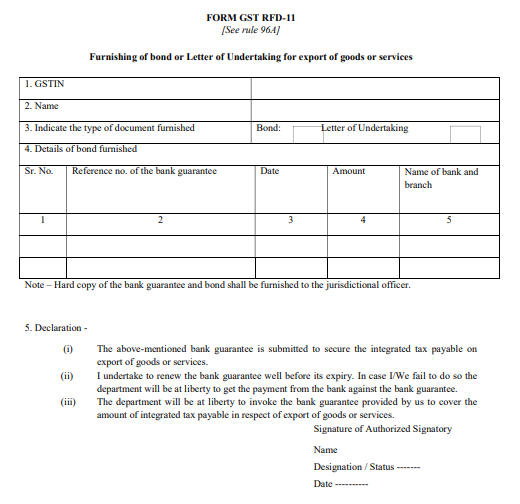 A refund is initiated on filing table 6A in Form GSTR-1. On filing the above documents appropriately, the refund is processed by the department. 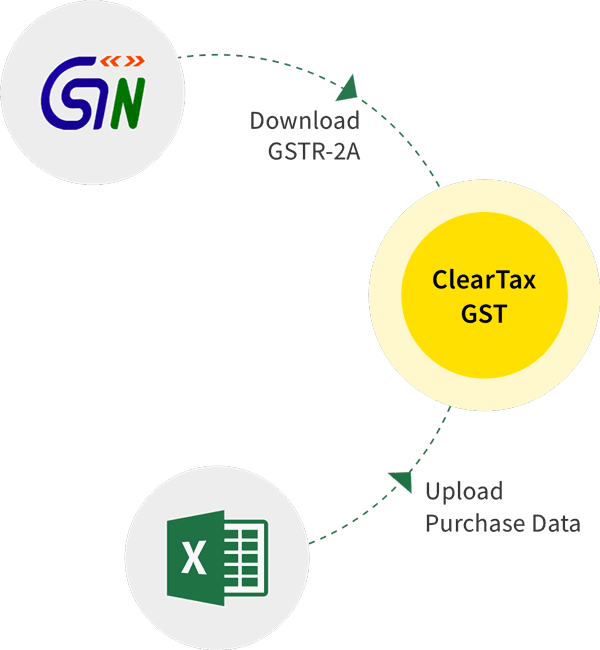 Learn how to access, add details and file Table 6A in GSTR-1 using our detailed guide. 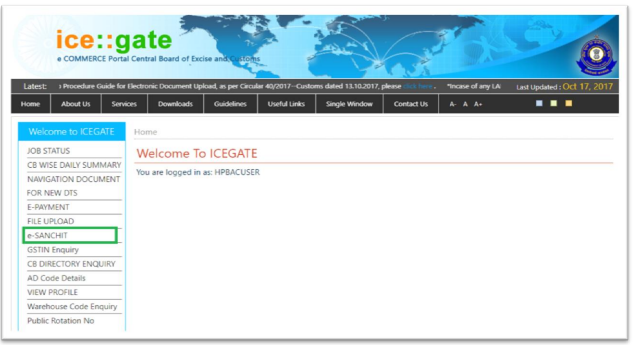 The details as entered in Table 6A should match the details of invoices and shipping bill uploaded on ICEGATE portal by exporters. 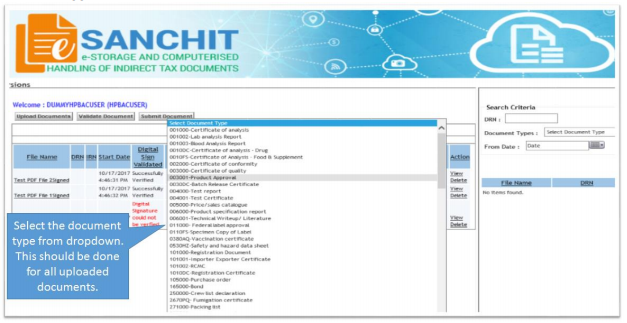 Step-3: Go to e-SANCHIT tab for uploading the documents. Step-4: Click on the upload documents button. 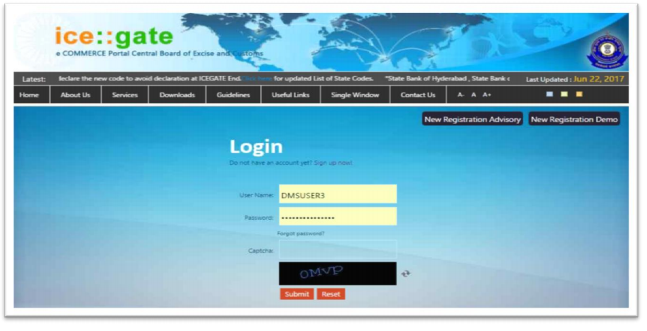 At a time, a batch of maximum 5 documents can be uploaded. 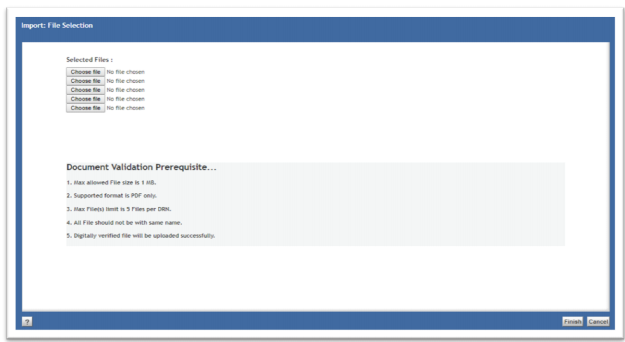 Step-5: Select documents to be uploaded from the drop-down list. All the documents should be digitally signed before uploading. 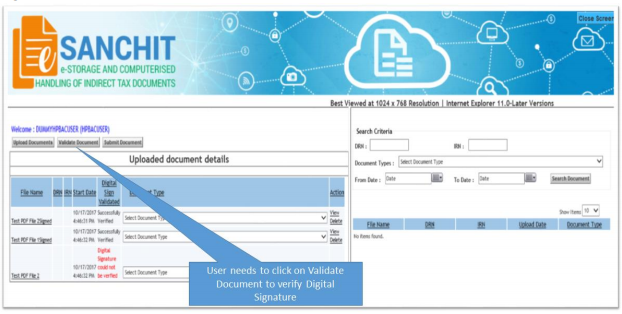 Step-6: Validate the DSC on the documents by clicking on Validate Document button for each document. 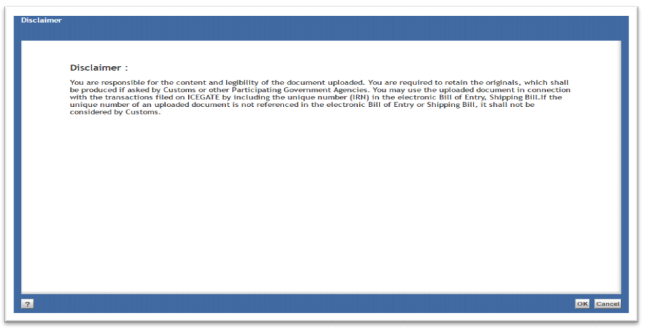 Step-7: Click on submit documents. Click the OK button on a disclaimer that will appear to accept the responsibility for the genuineness of the documents uploaded. Step-8: On successful submission, a unique IRN number will be generated which can be used for future reference. The excess of unutilised ITC (Input Tax Credit) can be claimed by way of filing Form GST RFD-01 (for online filing) / GST RFD-01A (for manual filing). A simple form is to be filled and filed accordingly with the department for claiming such refunds or any amount paid by mistake or the excess of amount lying in cash ledger. Time limits: The Form RFD-01/01A has to be filed within a span of two years from the relevant date. Frequency of filing: The Form RFD-01/01A has to be filed on a monthly basis by exporters. Within 15 days of filing such refund application, the officer assess for and verifies the completeness and correctness of all the details provided. Form RFD-02 is made available as an acknowledgement of the application filed. If any details are missed or incorrect, the assessing officer will intimate the exporter through Form RFD-03 which shall be updated and refiled. While processing the refund claim of unutilised ITC, the value of goods declared in GST invoice and the value in corresponding shipping bill/bill of export is examined and if both are different, then lower of the two values is sanctioned as a refund. In a scenario where the exporter is undertaking the export by furnishing a Bond, he/she need not pay taxes on such sale. It is a type of bank guarantee, under which a bank allows its customer to raise money from another Indian bank’s foreign branch as a short-term credit. pay any final decree entered against the vehicle whether it is lost or not. It is a financial instrument in which the issuer of bond owes the holders a debt and is obliged to pay them interest or to repay the principal at a later date. It is a highly secured and highly liquid financial instrument which is mostly negotiable. 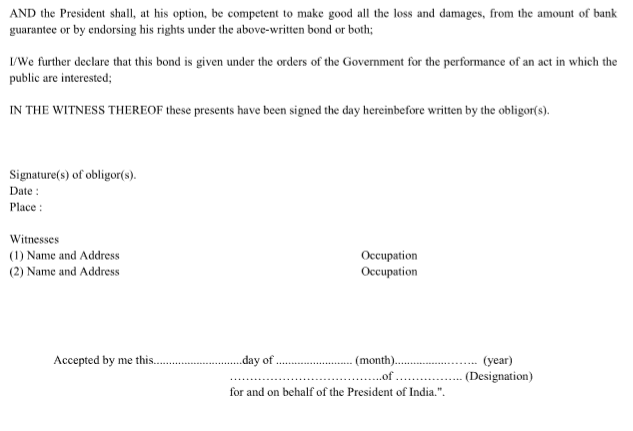 This means that the ownership of the bond can be transferred. 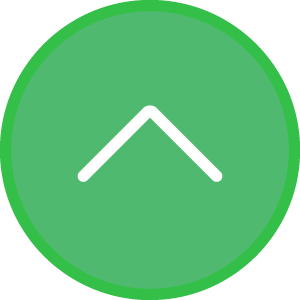 The most common types of bonds are municipal bonds and corporate bonds. In case of furnishing bonds for exports, the general parlance is B-1 Surety / Security (General Bond) is furnished. These kinds of bonds have a surety (another person) who guarantees the performance on the part of the obligor (person furnishing the bond). Any registered taxpayer exporting goods or services can make use of LUTs. However, any person who has been prosecuted for tax evasion for an amount of Rs. 2.5 Crores or above under the act is not eligible to furnish LUTs. The validity of such LUT’s is for a period of one year (till the end of financial year). An exporter furnishing LUT’s are required to furnish fresh LUT for each financial year. If the conditions mentioned in LUT are not satisfied within the time-limit, the privileges are revoked and the exporter will have to furnish bonds. For all the other assesses (along with the ones who have been prosecuted for tax evasion of Rs. 2.5 Crores or above under the GST laws), bonds should be furnished if the export is being made without payment of IGST. The Letter of undertakings can be furnished and submitted online through the GST portal (refer 7.0 for steps to furnish LUT’s). At the same time, the bonds are required to be furnished manually as the hardcopy of the same has to be remitted to the department. 6. What happens if goods or services are not exported? On a failure to render services or if the payment for goods is not received in convertible foreign exchange within one year then within 15 days from the expiry of such one year. If the goods are not exported and the assessee does not makes the payment accordingly, the amount shall be recovered as described in the act (Section 79) and the export is withdrawn. As soon as the payment is made, the exports are restored. Also in cases where the exports take place after three months, the benefit is restored. Step 1: Check the furnishing requirements (Whether LUT is to be filed or Bond) and jurisdiction. If a Bond is required to be filed then additional documents relating to bank guarantee is also required to be prepared. The exporter need not furnish a separate bond for each consignment. Instead, he can furnish a Running Bond. When using a Running bond, the exporter carries forward the same terms and conditions in the bond for the next consignment. Say if an exporter furnishes a Running bond of Rs. 2 Crores, then he can export goods worth of taxes to the tune of Rs. 2 Crores in multiple transactions. On fulfilling the conditions in the bond, the amount is freed up and can be used for next transactions for export. Step 3: Along with an office copy, a duplicate copy of the above shall be prepared. Step 4: Submit the documents to the department and get the same verified from the relevant officer to avoid any rejections and resubmissions. Step 5: Within 2 to 3 days of filing the documents, a signed letter shall be issued by the officer acknowledging the same.